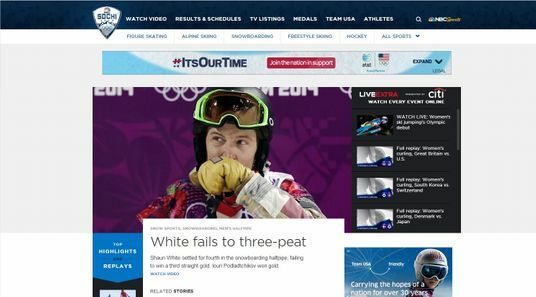 Why Cant NBC Stop Spoiling Olympics Results? 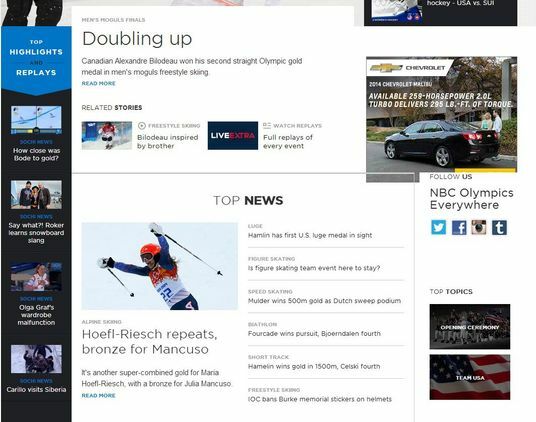 Why Can’t NBC Stop Spoiling Olympics Results? While watching a recorded hour of men’s luge racing on Monday night (and mimicking the racers’ posture on the couch), it was somewhat amazing that after at least ten or more nearly identical runs, I did not find the competition insufferably boring. This was almost entirely because of a tension that miraculously still existed in my own viewing experience: I didn’t know who would win. It’s a detail that makes all the difference (despite what NBC has said) when you’re watching a series of individuals all trying to perfect the same task at speeds that hardly allow for the naked eye to process the differences between them. The lack of spoilers kept me watching, but I couldn’t thank NBC for their absence. The question of spoilers in the Olympics really comes down to the issue of whether sports are news or entertainment. Generally, they’re regarded as news, and this is especially true in the Olympics, which are held on a global scale. The New York Times currently features White prominently on its homepage. * So does CNN. And Daily Intelligencer, for that matter. But I expect them to carry the latest news, so I know to avoid those spots. 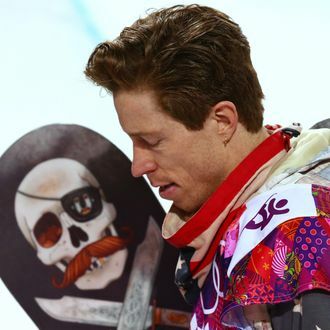 NBC, with its delayed and truncated televised coverage, treats the Olympics as something more akin to reality television. And since it’s the main resource for coverage, a bit of delicacy would go a long way. Maybe put results behind a link on the homepage? Or load a welcome screen that invites people to a separate scheduling site without results on it? NBC got blasted during the Summer Games for revealing a swimming gold medalist in a preview for the Today show. If only people were as worked up about the spoilers on its website this time around, maybe I could check the schedule while at work during the day without having to worry about tainting my evening’s viewing. *An earlier version of this story noted that The Times had sent a push notification with the news, but a Times editor wrote to point out that those notifications only went to people who had previously signed up to receive results.